Base on the dialog, we learned that a full summer of working as a gas station attendant earn them ¥120,000 (~$1,400 USD with 1995 exchange rate) From the research we did in this post (http://goo.gl/oTVhxV), on average a liter of gasoline costs anywhere from $1.02 to $1.25. AE86 has a 50-liter gas tank. A full tank of gas will cost about $50 or about 1.5 days worth of work. So, imagine buying a full tank of gas will cost you how much you make in one day, I think it'll put a smile on anyone's face when someone say they will cover that cost for you. 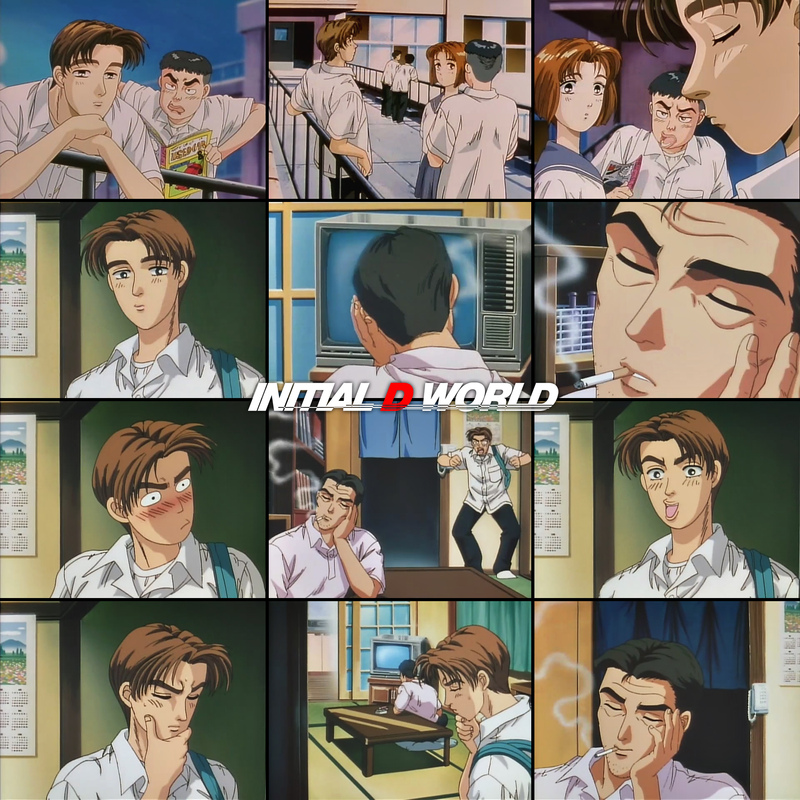 » Screenshots from Initial D First Stage ACT.1「究極のとうふ屋ドリフト」"The Ultimate Tofu Store Drift"
» Screenshots from Initial D First Stage ACT.3「ダウンヒルスペシャリスト登場」"The Downhill Specialist Appears"